So you think politicking and protest actions are new to the Olympics? Where have you been? According to the University of Pennsylvania, strife and conflict surrounding the games are as old as the mountains of Greece where the ancient games were held for more than a thousand years. “…The Games were not only a forum in which to discuss political events; they were also the cause of political conflict,” reports The Real Story of the Ancient Olympic Games on the universities Web site. Some campaigners timed their attacks for strategic moments in the games in their quest to dominate the religious site on which they were staged. It was the bellicosity timed for the games that stimulated their association with declaring truce while they were staged. Disrupting the ancient games were never the aim but to control them, which is where the new protesters at the modern games differ from their ancient counterparts of sorts. The most infamous modern attempt to manipulate the games for political ends was at the 1972 Olympics in Munich, when Palestinian terrorists kidnapped 11 Israeli athletes and officials and demanded the release and safe passage to Egypt of 234 Palestinians and non-Arabs jailed in Israel, along with two German terrorists held by the German penitentiary system, Andreas Baader and Ulrike Meinhof, who were founders of the German Red Army Faction. It was a disaster for the athletes and most of the terrorists and the Palestinian situation has not imporved 36 years later. The first Olympic boycott occurred 1956 in Melbourne, when Lichtenstein, the Netherlands, Spain, and Sweden withdrew in protest of the Soviet invasion of Hungary. Egypt, Lebanon, and Iraq also boycotted as a result of the Suez crisis. The People’s Republic of China refused to participate due to the inclusion of the Republic of China (Taiwan). In 1972 and 1976, a large number of African countries threatened the International Olympic Committee with a boycott, to force them to ban South Africa, Rhodesia, and New Zealand over apartheid. The committee did not agree with sanctioning New Zealand over a rugby game with South Africa, as rugby is not an Olympic sport. Guyana, not known for producing world class athletes, was the only Caribbean country to join the boycott. The Soviet Union and 14 of its Eastern Bloc partners (except Romania) countered by boycotting the Los Angeles Olympics in 1984. In an article published Saturday, chairman of the French Olympic Committee Henri Serandour, expressed his distress and anger over the disruption of the Olympic torch relay in Paris by Tibetan separatists and their supporters. 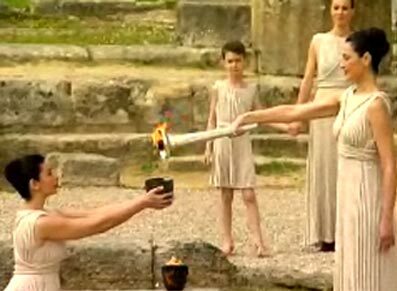 In the article carried by the French newspaper Le Monde, Serandour said he had expected Paris’ relay of the Olympic torch to show the world France’s love for the Olympic spirit and the Olympic Games, but what he saw was the insult of the torch bearers by some people. Noting the disruption left him distressed and angry, Serandour termed all the moves to sabotage the Olympics as mistakes which show disrespect for other people and history. “A person’s ability to express his or her opinion is a basic human right and as such does not need to have a specific clause in the Olympic Charter because its place is implicit”, said the IOC President Jacques Rogge as he addressed representatives of the 205 National Olympic Committees gathered in Beijing last Thursday (Apr 10). It is understandable that those with legitimate bones of contention, will strike while the hammer is hot, as say labour unions seizing a critical sales period to press their demands. But is is doubtful, based on history, that raising a fist on an Olympics medal podium, as African-Americans Tommie Smith and John Carlos did at the 1968 Mexico Olympics, will solve a decades old dispute. Just ask Barack Obama whether the Black Power salute of Smith and Carlos has made it any easier to be an African-American presidential contender.